Why are some people more able to take risks than others? How is it that some people can teeter on the edge of a precipice or jump out of a plane without a moment’s hesitation, while other face crippling anxiety and fear from simply being on a balcony or going up an elevator? The neural mechanisms underlying risky behavior are not well known, but that soon may change. Now, in a new study published a few days ago, a team or neuroscientists from Sweden’s Uppsala University and The Federal University of Rio Grande in Brazil believe they have identified the neuronal mechanisms responsible for the control of anxiety and such risk-taking behavior. The implicated cells are known as “oriens-lacunosum moleculare” (OLM) neurons and are found in the ventral hippocampus. The team found that stimulation of the OLM neurons in mice drives the presence of type 2 theta oscillations, a common brain-wave pattern found in the brain of mammals exposed to emotionally laden stimuli, such as predator presence. Moreover, the team found that increased type 2 theta oscillations were associated with an increase in risk-taking behavior by the mice in response to predator stimuli. 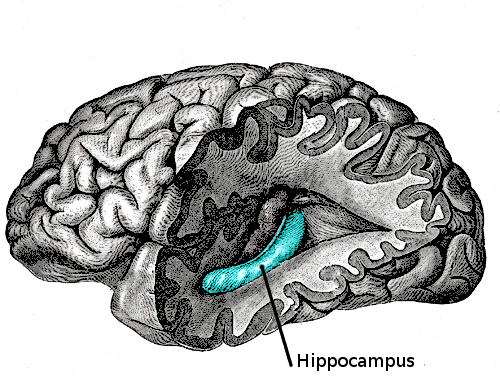 The hippocampus is largely known for its role in memory and cognition; less studied, however, is its role in emotional processing. The authors hope that their findings can be used to developed neuronal treatments for patients that have high levels of anxiety. Patients with anxiety exhibit an abnormally high amount of risk-averse behavior; so much so that it is detrimental to daily functioning and overall wellbeing. Many current medications for anxiety affect the entire brain instead of directly targeting systems responsible for anxious behavior, and can have negative side effects such as apathy or depression. 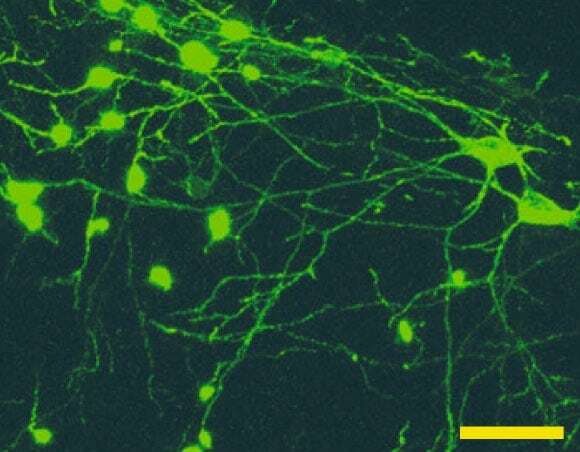 Locating the neurons responsible for modulating levels of anxiety and risk-taking behaviors could be the first step to effective direct treatments for anxiety disorders. 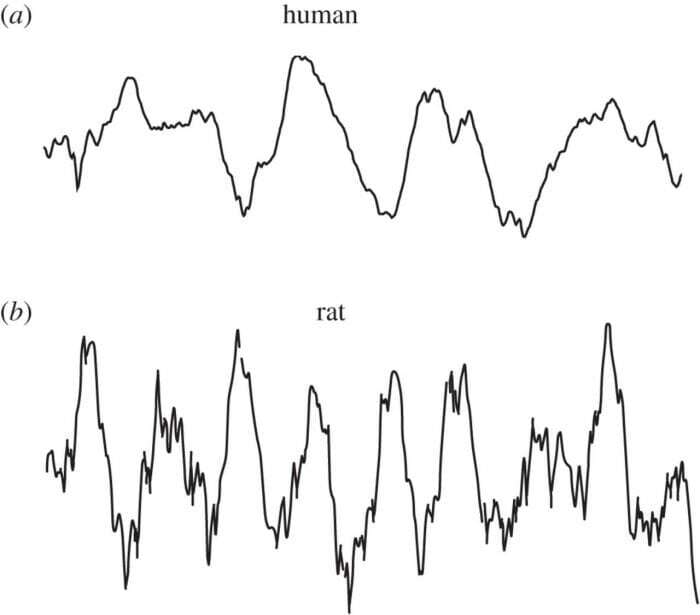 Theta oscillations are a kind of brain wave pattern found in mammals. The brain produces theta waves during a number of activities such as walking, running, REM sleep and examining the environment. Theta wave can be further divided into two main types: type-1, and type-2. Type-1 theta waves are most often observed during locomotion or other “voluntary” behavior and oscillate at a frequency of about 8Hz. Type-2 theta waves mostly occur during states of immobility or under anesthesia and can be eliminated by introducing atropine, a naturally occurring nerve agent. In mice, type-2 theta oscillations have been observed in cases where the mouse is in a state of frozen immobility due to the presence of a predator in the environment, such as a cat or a ferret. Studies have linked hippocampal theta oscillations with anxiety-like behavior. The current study under consideration adds to those findings by showing that stimulation of OLM neurons in the hippocampus can modulate the intensity of type-2 theta oscillations can affect risk-taking behavior related to anxiety. The researcher began by taking two groups of mice, one that had been treated with an OLM stimulate known as Chrna2-Cre, and another unstimulated control group, and put them both in a circular enclosure with cat hair placed in the center. They found that the OLM stimulate mice crossed the border between the outside and intermediate zones and crossed the border between the intermediate zone and center zone at a much more significant rate than the control mice. Additionally, the researchers found that while both groups of mice exhibited type-2 theta oscillations during this period, mice in the stimulated group showed oscillations with a much higher frequency. The results seem to indicate that the magnitude of theta oscillations has a direct effect on how much risk the mice are willing to take while exploring an area under predator stimulation. In other words, the mice in the OLM stimulated group exhibited a level of “bravery” not found in the control group as they were more willing to explore a potentially dangerous area. In a follow-up experiment, the researchers demonstrated the converse of the previous findings; OLM inhibition decreased the likelihood of the mice staying in potentially dangerous areas. Inhibited OLM groups spent more time near the edges of the circular arena and were less likely to move into the center of the enclosure. Such a manipulation provides evidence of the direct connection between OLM neurons and risk-taking behaviors. Causal claims in neuroscience are exceedingly hard to make due to the extreme complexity of the brain and its connections. It is entirely possible that the OLM neurons in the ventral hippocampus are responsible for anxiety and risk-taking behavior modulation, while also being implicated in other neural phenomena, such as time perception, and voluntary motor control. As is always the case with the brain, more research is needed to fully map out the functional connections between the various parts of the brain. 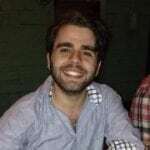 Previous Post« Previous Was The International Space Station Sabotaged?